Recyclable environmentally friendly packaging offers a way to deal with the mounting problem of landfill waste. According to the U.S. Environmental Protection Agency (EPA), over 250 million tons of municipal solid waste was generated in 2007 of which only 33 percent was recovered for recycling. Clearly, waste management presents an enormous challenge. Packaging represents a major source of municipal solid waste, offering an opportunity for recyclable environmentally friendly packaging to mitigate this issue. The EPA reports that paper packaging alone generated 1.5 million tons of waste of which negligible amounts were recovered. Similar figures were found for plastic packaging with over 13 million tons generated and nearly 12 percent recycled. Unfortunately, several issues plague the move toward earth-friendly packaging. Packaging stained from food products cannot be recycled because it would contaminate the paper slurry used to manufacture new products. This fact negates the environmental benefits of packaging food in environmentally-friendly containers. 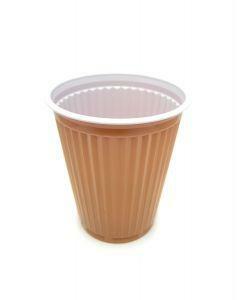 The same issues exist with coatings on paper and plastic cups as well as most types of glues, tapes and adhesives. The raw materials must be a certain quality and relatively free of contaminants in order to be reused. These facts leave environmentally-friendly packaging with some formidable barriers. Packaging issues are likely to increase due to a conflict from an unexpected source. The Centers for Disease Control and Prevention estimates that over two-thirds of American adults are overweight or obese. One of the problems that complicates weight loss is judging portion size. Fingers have been pointed at the food industry by health professionals for not making information clear enough for consumers to make healthier choices. These complaints have prompted the industry to produce single-serving sized packaging. Creating more packaging will not solve the municipal waste issue. In fact, it may negate the value of producing recyclable, environmentally-friendly packaging. On the one hand, consumers benefit by packaging that can help them control their weight, since they may be less likely to overeat when served individual portions. They also learn to judge portion sizes better. This can improve their ability to control their food intake across the board. On the downside, the environment suffers from an increase in packaging. In some food service sectors, such as the restaurant industry, recyclable packaging clearly is not an option unless other environmental benefits exist. One situation of recyclable packaging that offers advantages is with plastic bags. The American Chemistry Council assessed the environmental impact of paper bags, standard plastic bags and biodegradable plastic bags. Their findings yielded some surprising results. Out of the three types of bags, standard plastic bags had the least amount of total energy usage, consuming less energy and water resources while emitting less fossil fuel emissions. This last point is significant in light of the argument against using plastic bags that claims they deplete oil resources. In terms of an environmentally-friendly packaging, plastic bags have a lot to offer. Not only are they recyclable, but they use less natural resources to produce than other types of bags. Many manufacturers indicate on labels how much of their packaging is from recycled materials or post-consumer waste. As a concerned citizen, you can buy products that include more environmentally-friendly materials as a way to support companies that recognize and try to reduce their environmental impact. In addition, most recycling centers accept plastic packaging numbered one or two for the type of resin used in manufacturing them. Typical products include soft drink bottles, grocery bags and milk jugs. You can check with your local waste management service to see if other types of plastic products are accepted. For products with recyclable packaging, you can buy the largest size as a practical way to reduce the amount of smaller-sized products you purchase and discard. Small changes in your buying habits can make a large dent in your carbon footprint. As the impact of packaging grows, products that include recyclable and earth-friendly materials offer a compromise that can benefit both the consumer and the environment. Armed with the knowledge of the value of environmentally-friendly materials, you can make better choices.